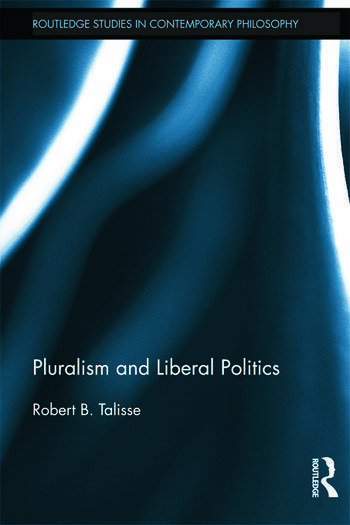 In this book, Robert Talisse critically examines the moral and political implications of pluralism, the view that our best moral thinking is indeterminate and that moral conflict is an inescapable feature of the human condition. Through a careful engagement with the work of William James, Isaiah Berlin, John Rawls, and their contemporary followers, Talisse distinguishes two broad types of moral pluralism: metaphysical and epistemic. After arguing that metaphysical pluralism does not offer a compelling account of value and thus cannot ground a viable conception of liberal politics, Talisse proposes and defends a distinctive variety of epistemic pluralism. According to this view, certain value conflicts are at present undecidable rather than intrinsic. Consequently, epistemic pluralism countenances the possibility that further argumentation, enhanced reflection, or the acquisition of more information could yield rational resolutions to the kinds of value conflicts that metaphysical pluralists deem irresolvable as such. Talisse’s epistemic pluralism hence prescribes a politics in which deep value conflicts are to be addressed by ongoing argumentation and free engagement among citizens; the epistemic pluralist thus sees liberal democracy is the proper political response to ongoing moral disagreement. Robert B. Talisse is Professor of Philosophy, Professor of Political Science, and Chair of the Department of Philosophy at Vanderbilt University. His research is focused on contemporary issues in liberalism and democratic theory. He is the author of Democracy After Liberalism (Routledge), A Pragmatist Philosophy of Democracy (Routledge) and Democracy and Moral Conflict (Cambridge). He is the editor of the journal Public Affairs Quarterly, and co-host of the popular podcast, New Books in Philosophy.